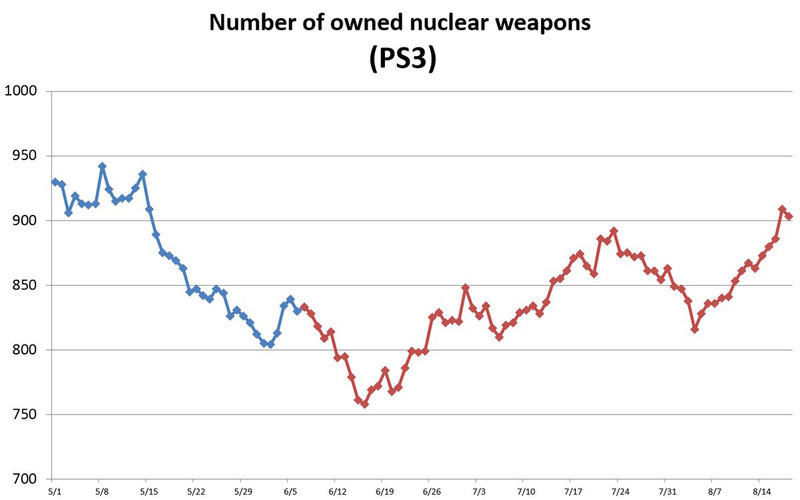 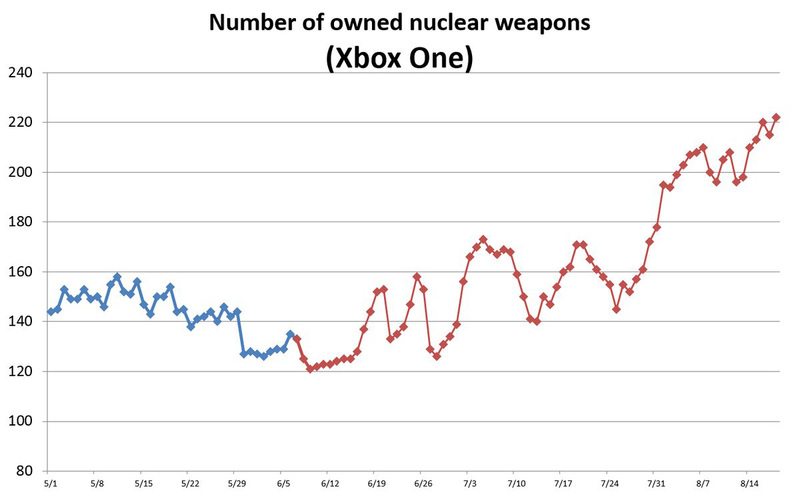 This week community manager J is back with new graphs detailing nuclear weapon ownership in Metal Gear Solid V: The Phantom Pain. 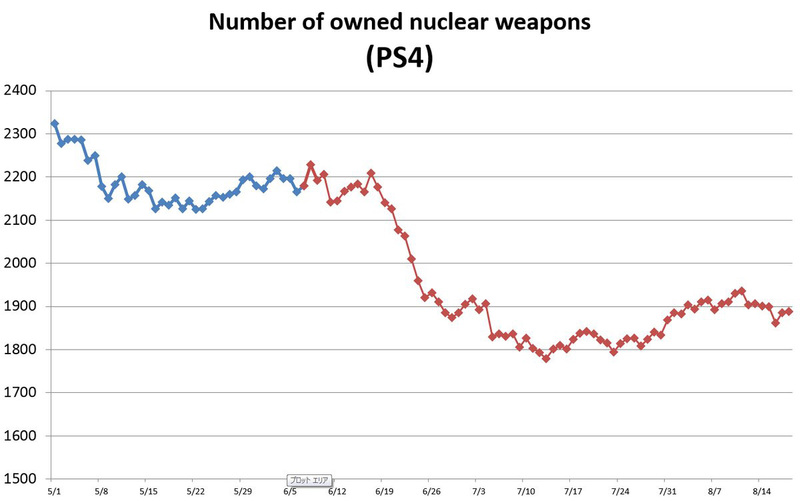 Since the last update, numbers went down on PlayStation 4 and up on PlayStation 3. 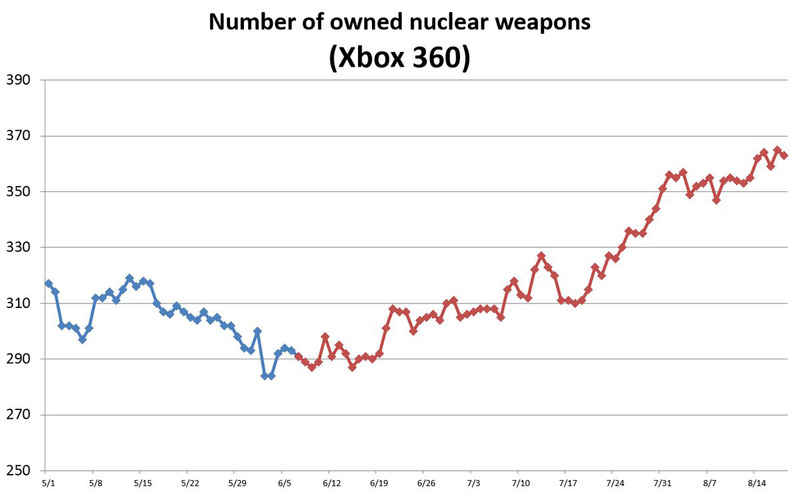 Xbox One went up while Xbox 360 went down. 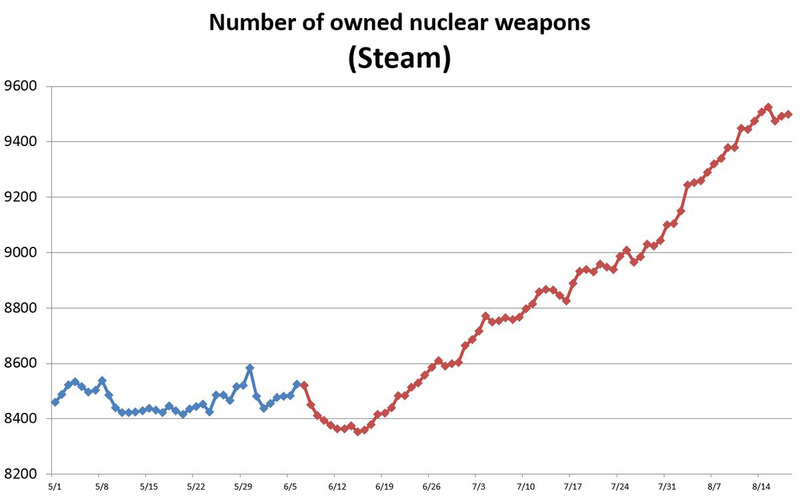 Steam actually saw a decrease for a chance as no less than 27 nukes were decommissioned.